Donations, financial support, and underwriting are always welcomed. Event sponsorship such as the Annual Gala is encouraged and helpful to keep our program going. Contact us for more details. One pastor stated, “There is no need for us to reinvent the wheel, but to support the wheel of this faith-based recovery program in our community.” Ask us how you can support on several levels. Help get your community group or family involved by sponsoring a benevolent bed. Each resident affects their community. We want that to be a positive effect for everyone, including your family. No matter how small or big your business, church, organization, or group is, you can assist Women of Hope by becoming a benevolent bed sponsor. You can change a life, a family, and a community forever just by sponsoring a resident through the program. We also accept invitations to have our director and a resident share about the program. This can include a testimony, inspirational songs, and dance. We would love to share how anyone can get involved and lend individual help and financial support on an ongoing basis. Anyone can be a benevolent bed sponsor. 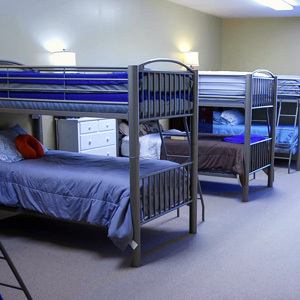 The current cost is $600/month which includes not only a physical bed with clean linens for the resident, but 3 meals a day, counseling, classes, medical visits, clothes, transportation, life transitions classes, and all that the program offers. Each resident is in-house for 9 months and then goes into community living for 3 months. Housing for community living may be on our property or at the Community Living house (depending on availability). Full bed sponsorship is $5400 ($600/month X 9 months). We gladly accept any financial donations designated towards our Hope House supplies as we have monthly ongoing needs such as paper products, hygiene products, pantry needs, etc., or if you prefer you can give products directly to us or drop-ship them from Amazon. Just change the shipping address to our location: Women of Hope, 1925 Highway 18, Medon, TN 38356. We also monthly email out our current needs via our e-newsletter. To sign up, just complete our contact form and check the Sign up for E-Newsletter box. 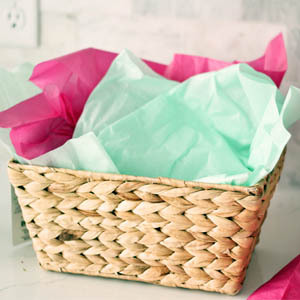 Every Women of Hope resident is given a welcome basket consisting of many personal items, devotional, Bible, and a special Women of Hope shirt. We want every woman who makes the choice to enter the program to know that we are a safe place of refuge as she recovers and is ultimately restored. 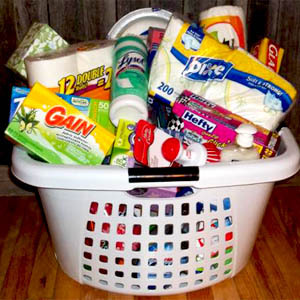 To become a welcome basket sponsor, just put it in the comments section of the donation page. Nothing is wasted at our facilities. We appreciate any support you are able to give, so we may accept any women who can’t afford to enter on their own accord.